The experience was extremely positive and Anh demonstrated the willingness to go the extra mile to make things happen with the seller and the sales team. Anh also was very effective in his follow up during and after the sale was finalized. He made himself available to iron things out even when his role was completed. We do appreciate this level of professionalism. Kevin H.
Acquiring solid financing is a crucial part of your home purchase. It will help with negotiations, allow for a smooth escrow, and ultimately save you time and money. We work with and wholeheartedly endorse Karen Chiu of New American Funding. Karen joined New American Funding in 2014 after a successful career with RPM Mortgage & Metlife Home Loans as a Private Mortgage Banker. Her philosophy is simple... to listen to each customer's needs, and respond to those needs efficiently and effectively. She specializes in new condo sales and has built a strong reputation in the Downtown Los Angeles real estate market. 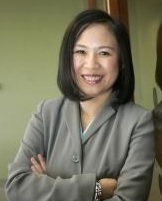 She earned her undergraduate degree at UCLA and quickly went on to completing her MBA at UCLA's Anderson School of Business and earning her CPA License in 1993. Prior to joining the mortgage industry, Karen has held various financial positions. Karen is also fluent in Chinese. Today Karen is our preferred lender. She is an expert in the Downtown Los Angeles loft market and is intimately familiar with DLXco.com and the needs of our clients. Please feel free to contact Karen for rate quotes, pre-qualification, estimated closing costs, and guidance on many different loan programs available.